Today, Zhaxybay Zhumadilov, the general director of the National Laboratory Astana, Nazarbayev University and Victor Matveyev, the director of an international intergovernmental organization "Joint Institute for Nuclear Research" (JINR) signed a memorandum on cooperation in the sphere of scientific research and scientific activities. In particular, the parties have agreed to conduct joint work in the field of physics and technology of high-energy charged particle beams; nuclear-physical methods of investigation of different materials and objects of the environment; use of heavy ion beams of high-energy radiation in the field of materials science; methods of X-ray analysis of materials; research methods of micro- and nano-objects; the use of charged particle beams of high energy to biotechnology, ecology and medicine; nuclear power; thermonuclear fusion; the development of nuclear and radiation medicine, formulation and use of radioactive isotopes to diagnose and treat diseases. “In the framework of this cooperation is planned to organize joint scientific seminars, workshops, and joint participation of scientists in international projects. So this perspective collaboration will provide a spark to the development of nuclear science and technologies for the purpose of peaceful nuclear energy application in Kazakhstan,” said Zhaxybay Zhumadilov. “Kazakhstan occupies the prominent and worthy place among the JINR Member States. Kazakhstan vastly contributes to the development of education and science, and nurturing young staff. It’s a beautiful example to follow,” concluded the head of the Joint Institute for Nuclear Research Victor Matveyev. During the visit the Dubna’s delegation gave several presentation on JINR: structure, main direction of research, links and collaboration in Kazakhstan, including cooperation with Nazarbayev University. Also, the guests held a tour of NLA's facilities, and other research centers of the university. For information: The Dubna’s delegation visit to NU is the part of "Days of JINR at Kazakhstan" event. The Joint Institute for Nuclear Research is an international intergovernmental scientific research organization in the science city Dubna in the Moscow region. JINR has at present 18 member states, including Kazakhstan. DC-60 cyclotron - heavy ion accelerator - was built by the JINR in Astana and now celebrates its 10 year anniversary, as part of current "Days of JINR at Kazakhstan" event. National Laboratory Astana, Nazarbayev University announced its participation in a scoping study on Global Healthspan Extension Initiative in collaboration with Centre for the Advancement of Sustainable Medical Innovation (CASMI) University of Oxford, the Biogerontology Research Foundation (BGRF) and other international academic and industry thought leaders to develop strategic options for economic development focusing on extending productive healthy longevity of the population using latest breakthroughs in science and technology. "The global healthspan extension program we are developing is first of its kind, but may serve as a model for other countries that are committed to innovation and technological progress. The idea is simple: identify the most promising technologies required to extend healthy productive longevity of the entire population to keep people healthier and more productive for as long as it is possible. To do that we partnered with the best minds from all over the world and conducted thorough analytical studies," said Zhaxybay Zhumadilov, General Director of the National Laboratory Astana, Nazarbayev University. 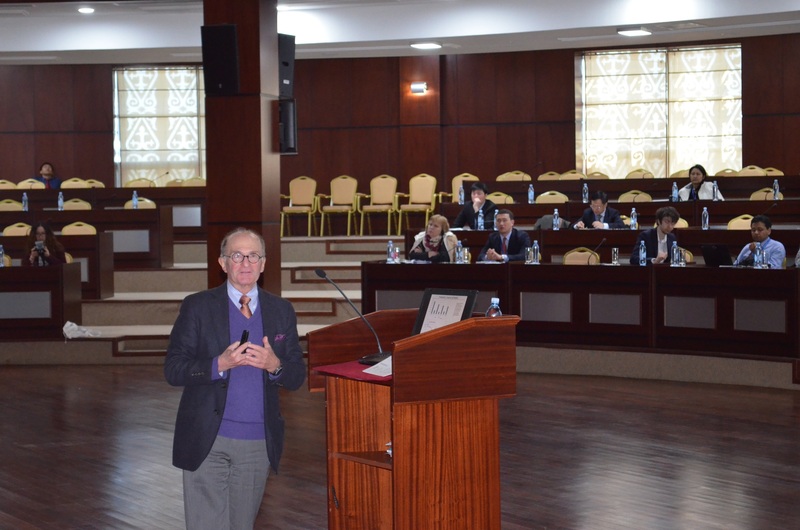 So far we completed two workshops, one invitation-only forum at the University of Oxford and another in Astana at the Nazarbayev University. The forum in Astana coincided with the 4th International Conference on Regenerative Medicine and Healthy Aging and included a workshop, where first results of the scoping study were presented and reviewed by prominent scientists, industry players and policy makers including the head of CASMI Dr. Richard Barker, the former director of the Human Genome Project Dr. Charles Cantor and many others. "What we see is emerging worldwide is the new productive longevity theory of economic growth. The number of senior citizens is rapidly increasing and if left unchecked will slow down growth even in countries where the majority of the population is young. However, if we keep the retired and retiring population healthy and engaged, we may see unprecedented economic growth," said Massimo Pignatelli, dean of School of medicine at Nazarbayev University. 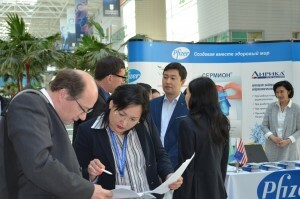 The Global Healthspan Extension Initiative already attracted many innovative technology companies from the U.S, the U.K, Norway, Sweden, France and Germany, and resulted in perspective collaborations and partnerships with many companies indicating their intent to set up research and development offices in Kazakhstan for perspective longevity research. Astana, 17 may, 2016. 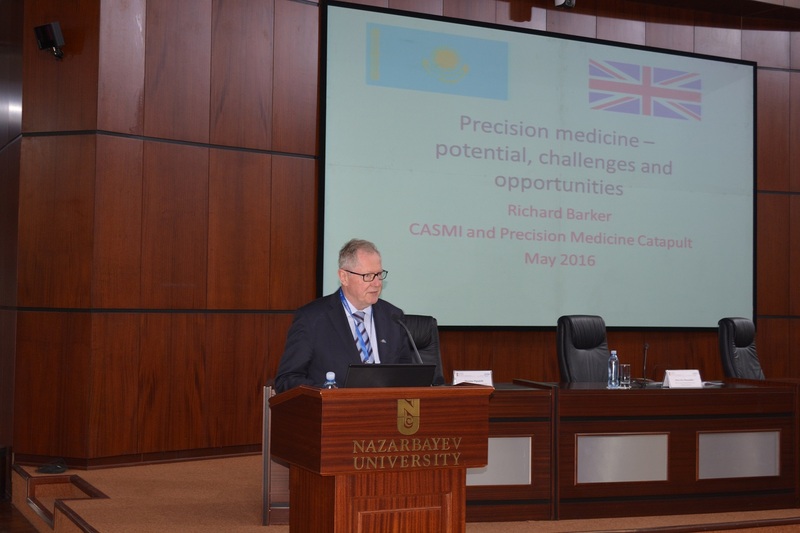 Insilico Medicine announced an agreement with National Laboratory Astana, Nazarbayev University, one of the most rapidly growing universities in the world to collaboratively study aging and age-associated pathologies. “We are very happy to collaborate with Insilico Medicine, one of the leaders in applying artificial intelligence to aging research. 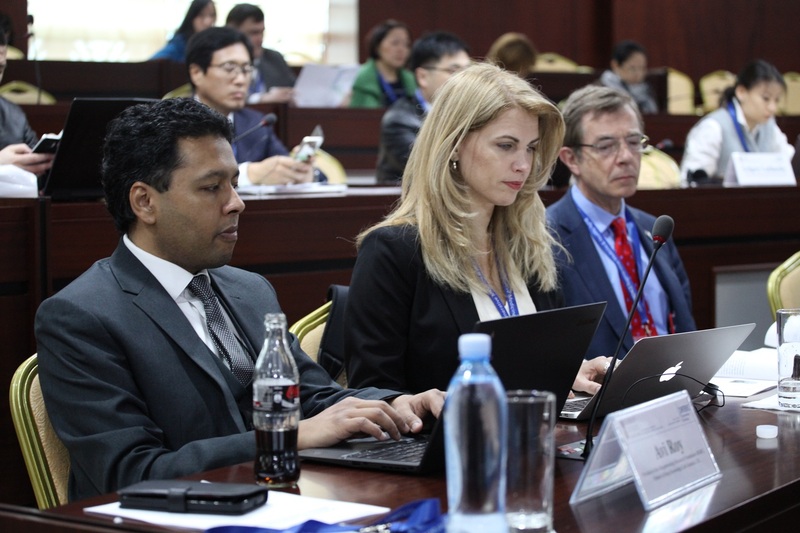 At the Nazarbayev University we are generating vast amounts of data, including next generation sequencing, gut microbiome, genomic and metabolomic data. Healthy aging and healthspan extension is one of our main research priorities. Deep learning has revolutionized many areas including image and text recognition and is likely to advance many areas of biomedicine,” said Zhaxybay Zhumadilov, General Director of the National Laboratory Astana, Nazarbayev University. 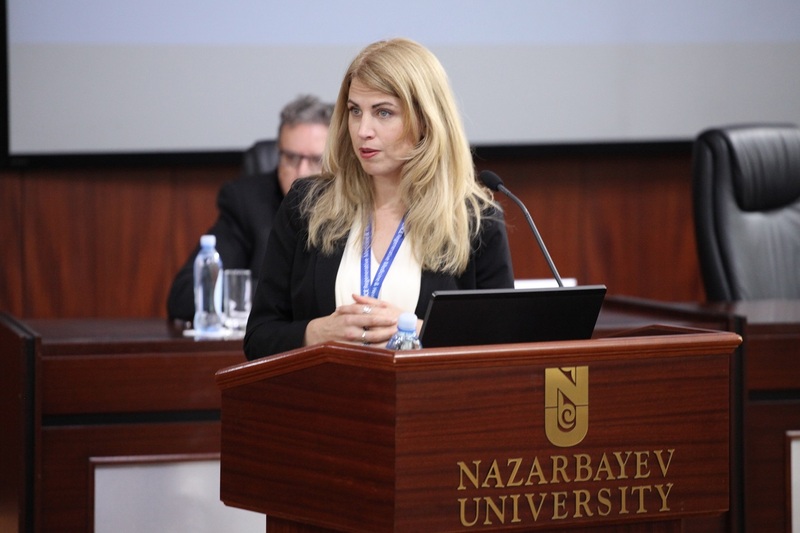 “Nazarbayev University is one of the most advanced universities in Eastern Europe and Central Asia with state of the art equipment and highly qualified staff educated in top international universities. 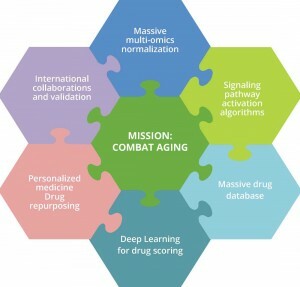 This institution is scouting for cutting-edge technologies and Insilico Medicine is delighted to be selected as one of the providers of high-technology solutions for longevity research,” said Alex Zhavoronkov, CEO of Insilico Medicine. 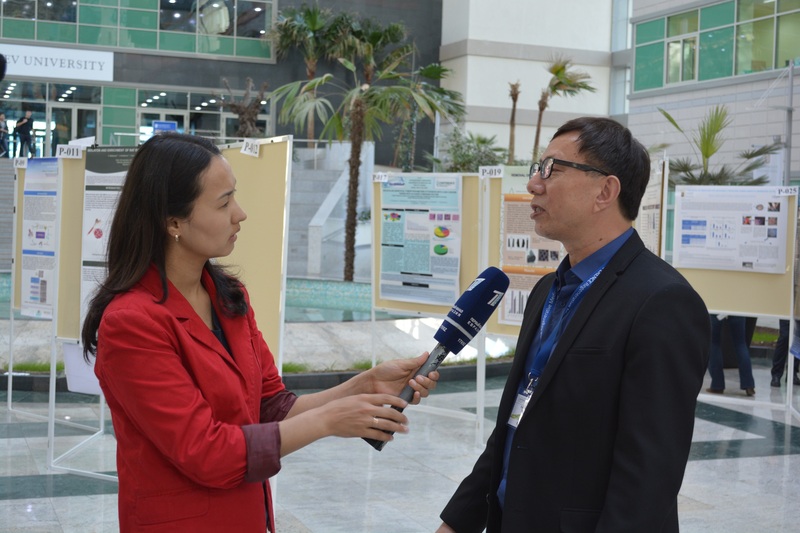 Inc, who was one of the speakers of the recently past the IV International conference on regenerative medicine and healthy aging, held at the National Laboratory Astana on 11-12 May, 2016. Charles Cantor, Richard Barker, Elizabeth Parrish, Avi Roy, Rory Shaw, and other renowned scientists are among the speakers of the 2016 conference. 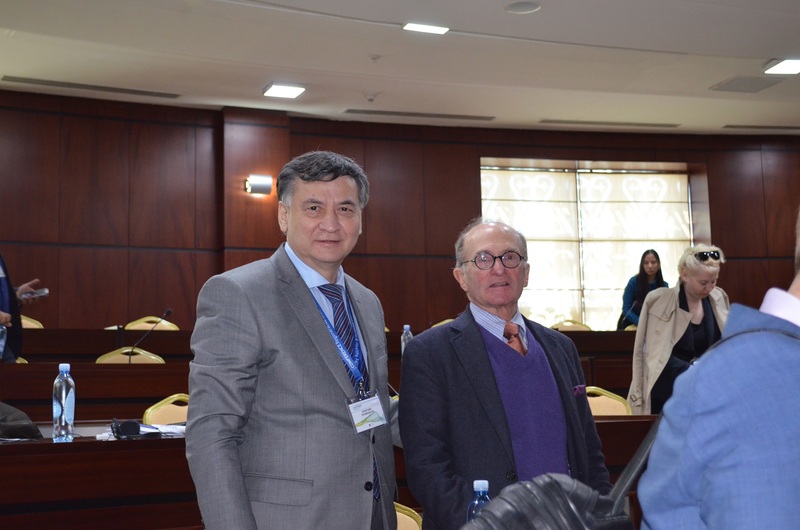 National Laboratory Astana at Nazarbayev University hosts the 4th International Conference on Regenerative Medicine and Healthy Aging. The purpose of the two-day conference is to constitute a forum for many national and foreign research groups to integrate, dialogue, and discuss advanced achievements in gerontology and biomedicine. Scientists from leading universities of neighboring countries and far abroad from the United Kingdom, Russia, China, the U.S.A, South Korea, and Germany, senior management of research organizations, educational institutions, healthcare industry representatives, officials and representatives of government of Kazakhstan attend this year’s conference. A panel discussion on Innovative Medicine, Bioengineering and Cell Technologies, including Dr. Richard Barker, Professor of Centre for the Advancement of Sustainable Medical Innovation (CASMI), University Oxford, UK; Elisabeth Parrish, CEO of BioViva Sciences USA Inc. Washington, USA; Avi Roy, President of the Biogerontology Research Foundation (BGRF), Partner at Deep Knowledge Life Sciences, UK; Kyung-Sun Kang, Director of Adult Stem Cell Research Center, College of Veterinary Medicine, Seoul National University, Korea; Da-Xiang CUI, Director of Department of Bio-Nano Science and Engineering, Shanghai Jiaotong University, China. A panel discussions on Healthy Aging and Gerontology and Neurodegeneration & Neurological disorders featuring Kerim Mutig, Academic Director of the Berlin Medical College, PD. Dr. at the Institute for Vegetative Anatomy, Charité – Medical University, Berlin, Germany; Paul Gard, Professor of School of Pharmacy & Biomolecular Sciences, University of Brighton, Brighton, UK, and other prominent scientists. 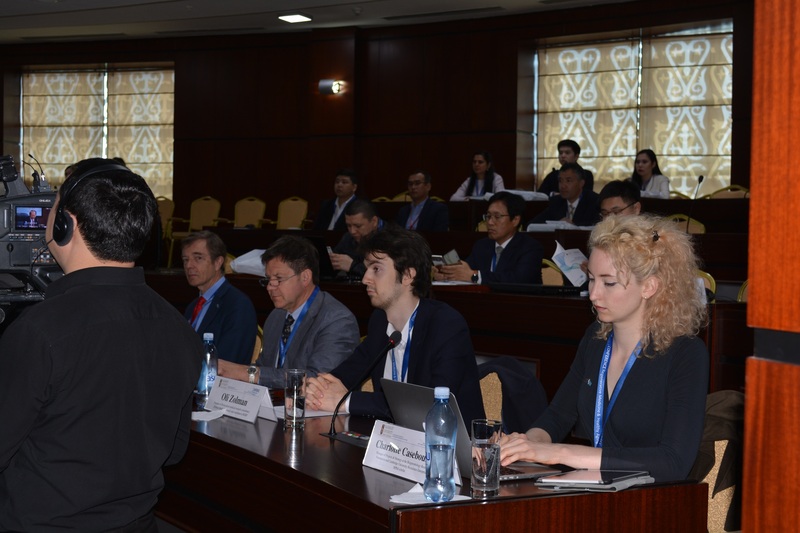 A satellite session: round table on Genomic Research in Kazakhstan: Directions, Challenges, Integrations moderated by Ainur Akilzhanova, National Laboratory Astana, and Best Poster Presentation award with young scientists’ presentations on biomedicine and biotechnology. 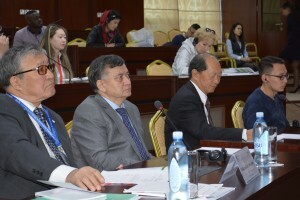 Reference: In 2011, Nazarbayev University hosted the first conference on regenerative medicine and healthy aging, which discussed a wide range of issues - from genomics and cellular biology to epidemiology and the development of specific methods for the treatment of diseases associated with aging. It was attended by major international experts from the United States, United Kingdom, Japan and other countries, such as Alan Russell, Geoffrey Ginsburg, Aubrey de Grey, Allison Murdoch, Keith Campbell, and many other renowned scientists. The conference format traditionally includes plenary sessions, oral presentations and discussions. The aim of regenerative medicine is to restore the structure and function of diseased or damaged tissues and organs via cellular and bioengineering technologies and approaches. 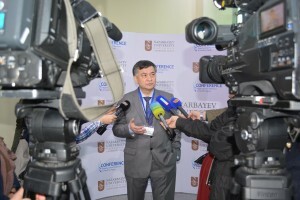 For the successful development of biomedical science in Kazakhstan at National Laboratory Astana, Nazarbayev University were established and effectively work bioengineering research institute, regenerative medicine and neuroscience institute, genomic medicine institute, experimental and clinical pharmacology and pharmacy institute, biosensor technology institute, and others. 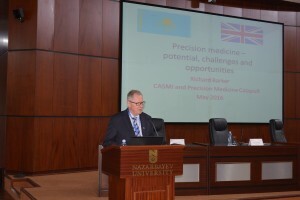 The results of these unique institutions will allow Kazakhstan to become an international hub of biomedical industry in Eurasia. https://www.facebook.com/nla.nu.edu.kz/ and join in the conversation with #NatLabAstana. 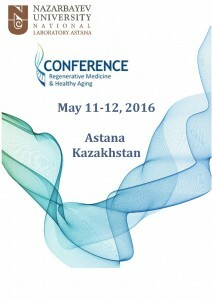 On 11 May 2016, National Laboratory Astana at Nazarbayev University will host the 4th International Conference on Regenerative Medicine and Healthy Aging. The purpose of the two-day conference is to constitute a forum for many national and foreign research groups to integrate, dialogue, and discuss advanced achievements in gerontology and biomedicine. On Friday,“Cluster Ion-Solid Interactions: Theory, Simulation, and Experiment” book presentation was held in Nazarbayev University. The book was presented by Zinetula Insepov. This research provides an overview of various concepts in cluster physics and related topics in physics, including the fundamentals and tools underlying novel cluster ion beam technology. The material is based on the author’s highly regarded courses at Kyoto University, Purdue University, the Moscow Institute of Physics and Technology, and the Moscow Engineering Physics Institute as well as his research results on cluster ion beam applications at Kyoto University. The author introduces the basic principles of statistical physics and thermodynamics before covering applications, experimental justifications, and practical implementations. 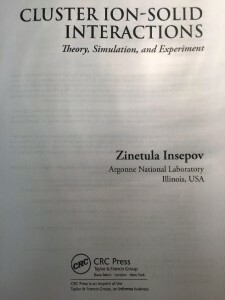 He describes classical nucleation theory and explains the drawbacks of this theory, showing how accurate modeling and simulations are necessary to justify theoretical approaches and simplifications. 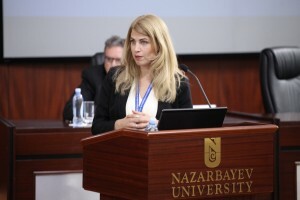 Zinetula Insepov is the chief scientist at NURIS center, Nazarbayev University. He is also the adjunct professor in the School of Nuclear Engineering at Purdue University and a professor in the Department of Condensed Matter Physics at the Moscow Engineering Physics Institute (MEPhI). Dr. Insepov is also a founding faculty fellow of the Skolkovo Institute of Science and Technology (Skoltech)/Massachusetts Institute of Technology (MIT) initiative. He has previously held positions at Albert Ludwig University of Freiburg, Kyoto University, Epion Japan, and Argonne National Laboratory. His research focuses on the fundamental physics of ion beam materials processing, including very-low-energy ion–solid interactions. He developed cluster ion beam interaction simulation programs based on molecular dynamics and Monte Carlo methods. He also predicted a new lateral sputtering phenomenon that is a driving force behind the efficient atomistic smoothening mechanism of surfaces irradiated by large gas cluster ions. Recently, he predicted a nanopumping effect and is developing a new device that allows pump gases and liquids via nanometer-scale channels. 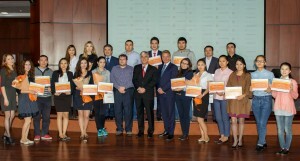 On September 18, 2015 at PI «National Laboratory Astana», Nazarbayev University, scholarships and grants were awarded to the students-winners of the competition of the educational project "Academic Program SANTO". 21 scientific research works of students and young scientists were accepted for the competition. The joint collaboration between PI «National Laboratory Astana» and the company «SANTO» started in 2013 after the signing the Memorandum of Understanding. The first contest among young scientists, organized by PI «Center for Life Sciences» and the «SANTO» company was held within the framework of the Third International Conference "Regenerative Medicine and Healthy Aging" in 2013. In 2015 the competition was held for the second time and the mandatory evaluation criteria were research and scientific, innovation, practical relevance and feasibility of the project results in Kazakhstan, which undoubtedly demonstrate a high level of applicants’ qualifications and will contribute to the development and support the future leaders of science and practice. The ceremony of grants awarding was held in the Senate Hall of Nazarbayev University with the participation of University leaders - Mr. Philippe Frossard, Vice Provost for Research; Professor Zhaxybay Zhumadilov, Director General of the PI «National Laboratory Astana», Nazarbayev University; and Professor Talgat Nurgozhin, Director of Institute / Laboratory of Experimental and Clinical Pharmacology and Pharmacy, Center for Life Sciences, PI «National Laboratory Astana», Nazarbayev University; the incoming CEO of SANTO Mr. Izhi Urbanets and Mr. Andrzej Bober; Secretary of the Embassy of the Republic of Poland in Kazakhstan. Among the winners of scientific and research works competition in the field of pharmacy were the scientists of the Center for Life Sciences, PI «National Laboratory Astana», Nazarbayev University, namely: Bauyrzhan Umbayev, Leading researcher; Alma Akhmetova, Junior researcher; Anel Gabdullina, Researcher; Ainur Akhmetova, Researcher; Aliya Kassenova, Junior researcher; Carina Bektur, Assistant researcher ; Dinara Baiskhanova, Junior researcher. In addition to the awarding grants the three scholarships were given to the graduates of Nazarbayev Intellectual School in Shymkent, namely Ademi Zhakyp, Gulmira Orazgeldy and Aruzhan Dzhambulatova, who are currently students of Nazarbayev University. The scholarship program for pupils was introduced in April 2015 during the First Competition of Scientific Papers announced among the Nazarbayev Intellectual Schools in Shymkent. On August 28 to September 11, 2015 Center for Life Sciences organizes workshop on research methods, design and management of scientific researches. The participants of the workshop are 29 employees of national Medical holding JSC: National Research Center for Maternal and Child Health, National Center for Neurosurgery, National Research Cardiac Surgery Center, Republican Children’s Rehabilitation Center, Republican Diagnostic Center and National Scientific Center for Oncology and Transplantation took part in the work of the seminar. Zhaxybay Zhumadilov, Director of the Center for Life Sciences stated: “We’ve already organized three workshops on this topic, including the current one. The scientists of the Center for Life Sciences will share their knowledge and experience in the field of scientific and clinic researches, they’ll also give practical recommendations on projects and publications writing”. The aim of the workshop is to increase the level of knowledge in the field of writing, design, appliance and management of research projects with the focus on the development of the methodology and the structure of researches, and integration of biomedical research into the clinical medicine. The program of a 10-day workshop includes a series of lectures on the methods, design and management of researches, individual tests, group work with the tutors, preparation and presentation of the research projects. Center for Life Sciences is a part of an integrated academic health system of Nazarbayev University, which also includes the clinics of the National Medical Holding JSC and Nazarbayev University School of Medicine. 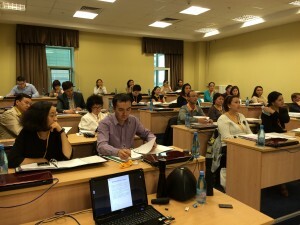 It should be noted that the researchers of the Center for Life Sciences impart their knowledge and experience in the field of public health, biomedicine, epidemiology, global health and personalized medicine to the representatives of higher education institutions, research centers and institutions of public health within workshops and trainings not just for citizens of the Republic of Kazakhstan but also for and the foreign citizens.